SKU: SC 157. 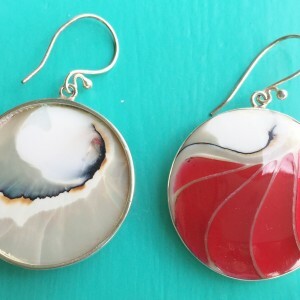 Categories: Earrings, Nautilus. 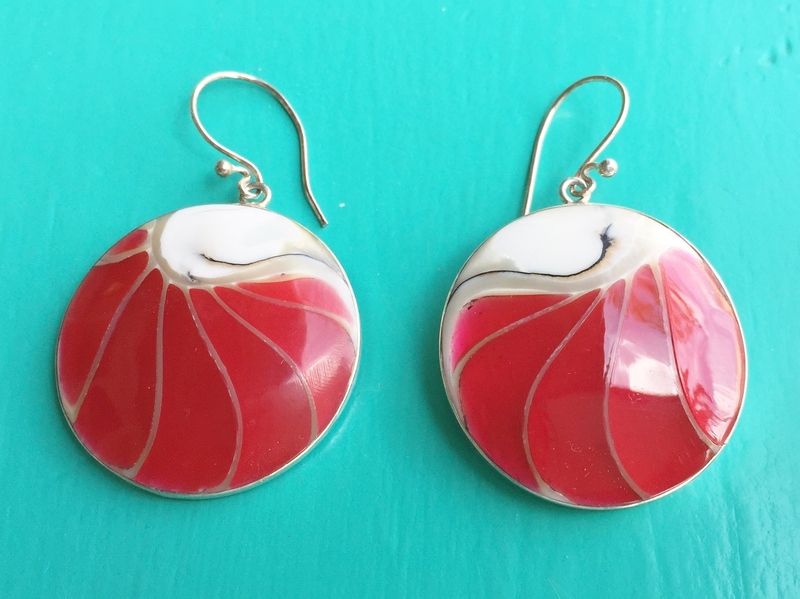 Nautilus Round Two Sided Red Earrings are gorgeous. 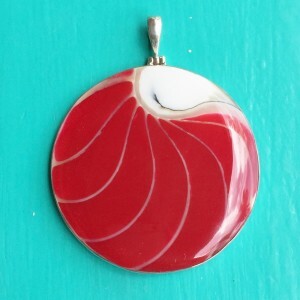 Handmade using Sterling Silver & the natural Chambered Nautilus Shell, the chambers of which are filled with a red glassy resin to give it its main colour. 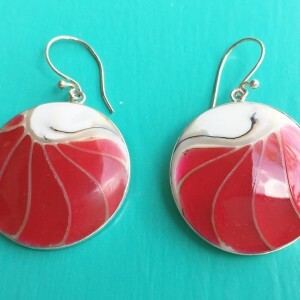 These Nautilus Round Two Sided Red Earrings are beautiful and are sure to get admiring looks. 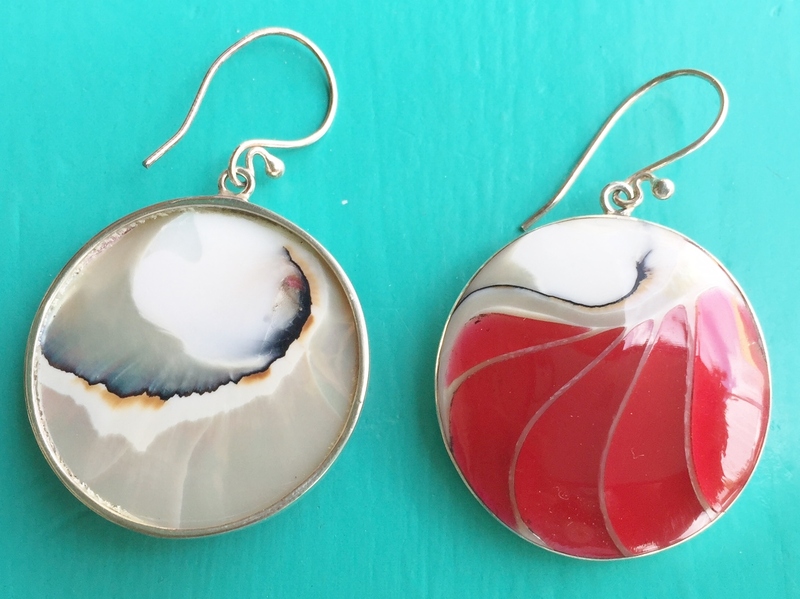 Team it up with the matching pendant (Large or small) for the perfected look.